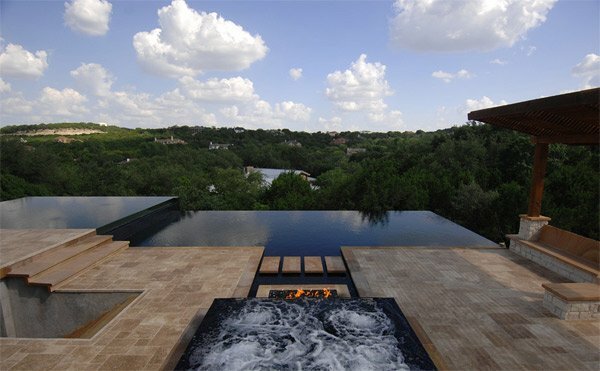 There are many ways on how you would beautify your outdoor spaces like the garden and patios. 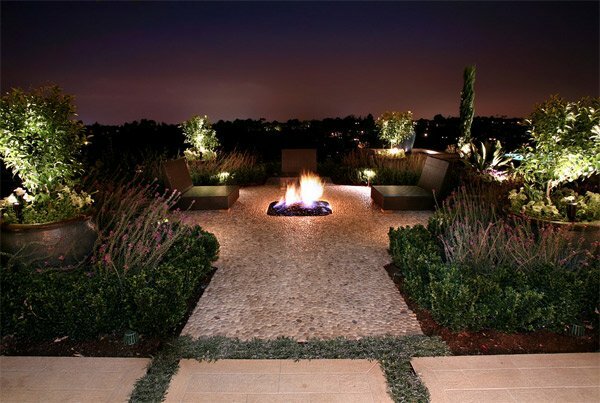 There are many decors that you can put to add a glow that your outdoor spaces needs. 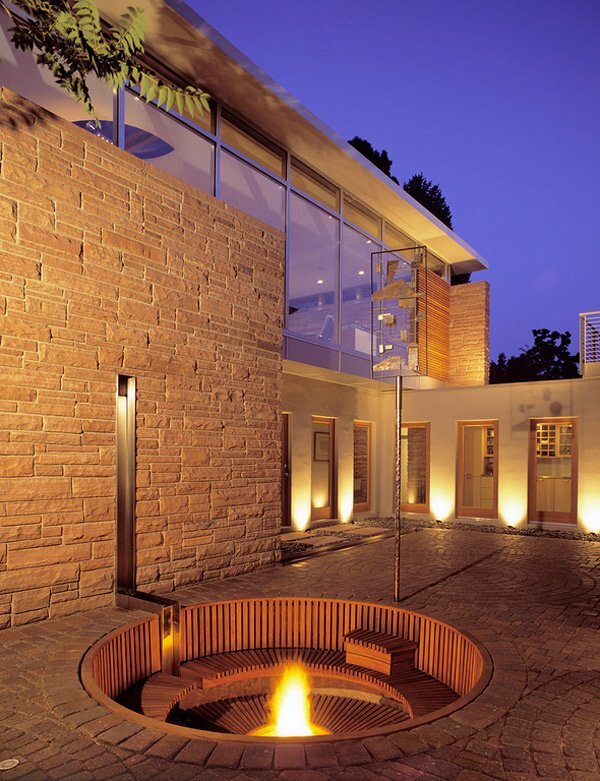 One example of a decor that you can consider installing into gardens and patios are the fire pits. 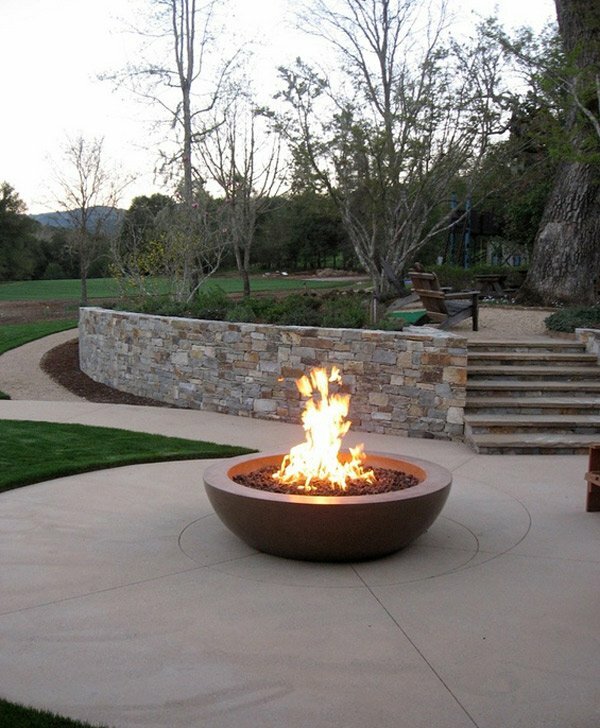 Fire pits are also called as fire hole; they are usually hollowed out in the ground that holds gas with burning structures of stone, bricks and metal. Fire pit is different from a fireplace. 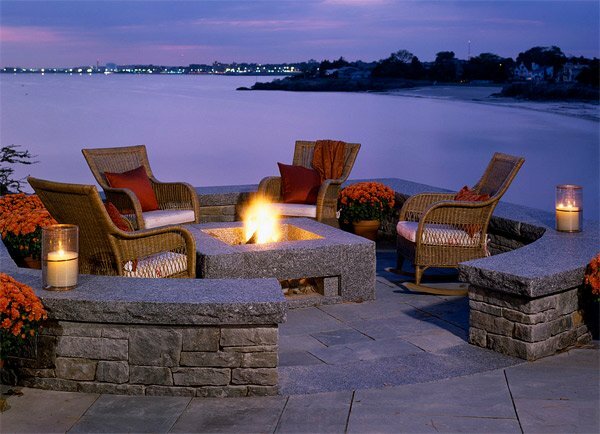 Fire pits are commonly built outside and are enjoyed by plenty of people. Unlike the fireplace that is installed inside the house usually enjoyed by two persons and adds a dramatic feel to living rooms. 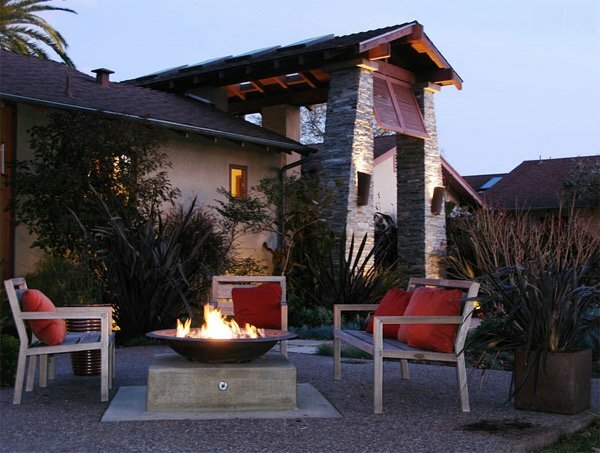 Contemporary style of fire pits are made mostly out of metals and stones and are used with fire burning woods and gas. This is a very effective decor that would make the entire area of your garden and patio very glowing during night and outdoor parties. 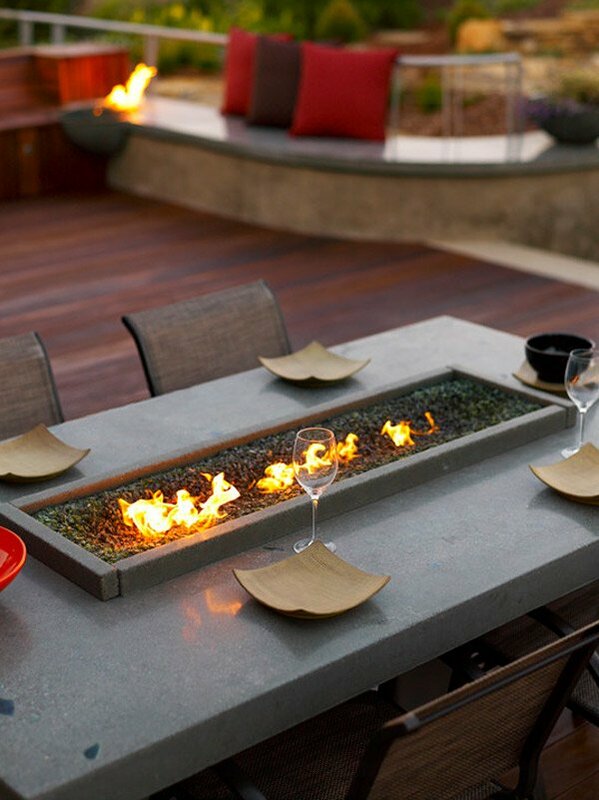 Instead of the usual centerpieces try to incorporate your outdoor tables with a fire pit. 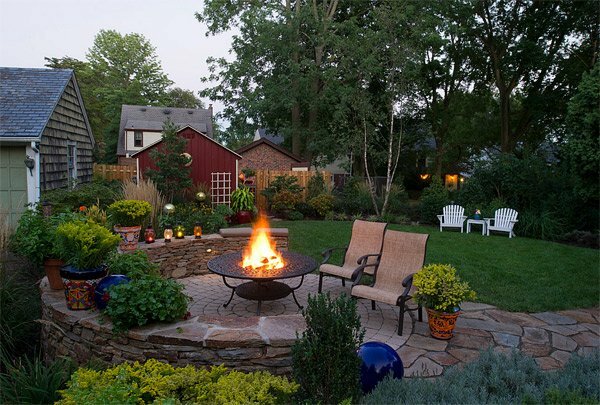 Gather your family and friends around this fire pit for a more enjoyable conversation. Fire pit for grilling! 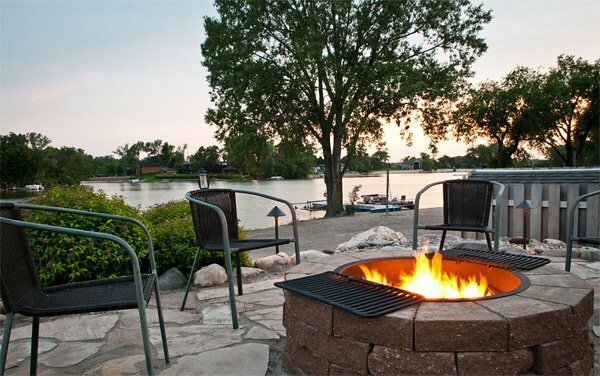 Toast marshmallows with your friends and enjoy the sunset view from the lake side. Look how dramatic your place will be! 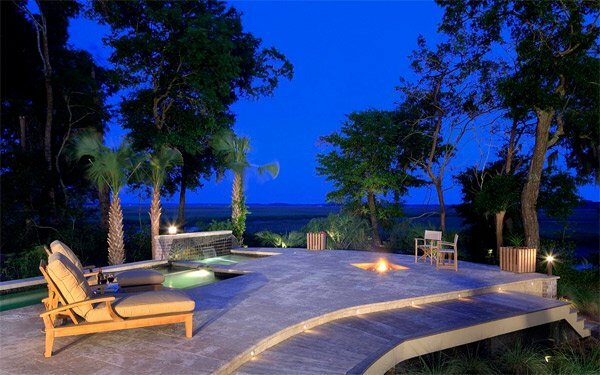 You can sink it in the ground surrounded with stones, pebbles or any choice of flooring to give it a sleek landscape. 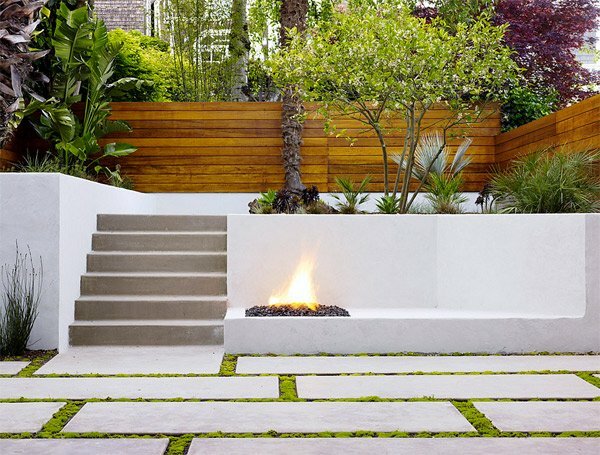 Make use of spaces in your garden, converting some retaining walls into benches with fire pits at the side. Bring the heat higher by placing it in a pedestal, easy access for warming chilling hands. Expect the unexpected! 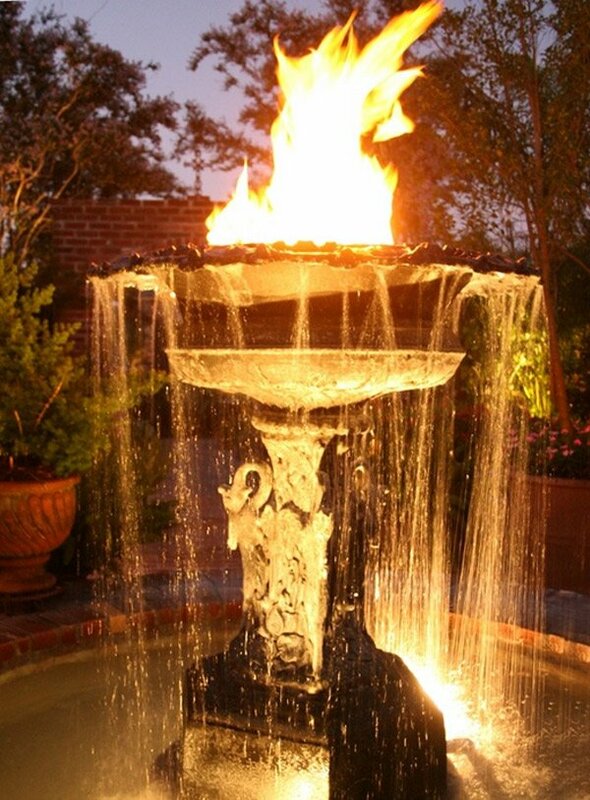 Have an idea of a magical garden with an effect like fire floating in water. Get an experience just like camping trips and bonfires on your gardens without sticking smells of fire on your hairs and clothes. 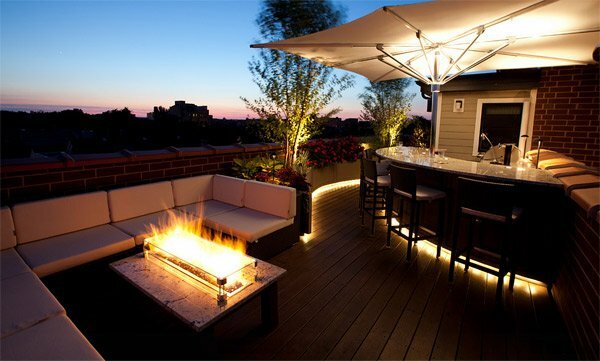 Rooftops must also get a good looking ambiance. LED lights are in perfect combination with a fire table. Create an eye-catching piece for your patios; place at the center a large and rounded container filled with rocks and glass. 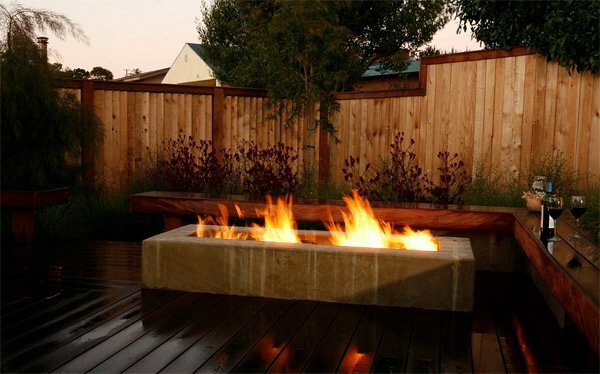 A fire table would be a focal piece for your planned outdoor party, install it with forced air heater to blow hot air to keep the area warmer. 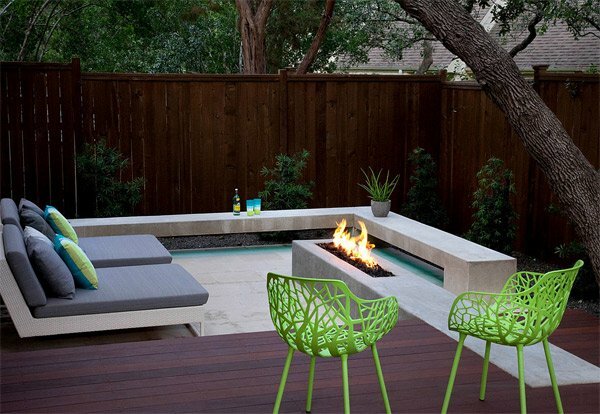 Make your spaces more relaxing; together with lounge chairs, benches and with a concrete fire pit filled with black lava rocks. There is always an enchanting feeling when water and fire are mixed. 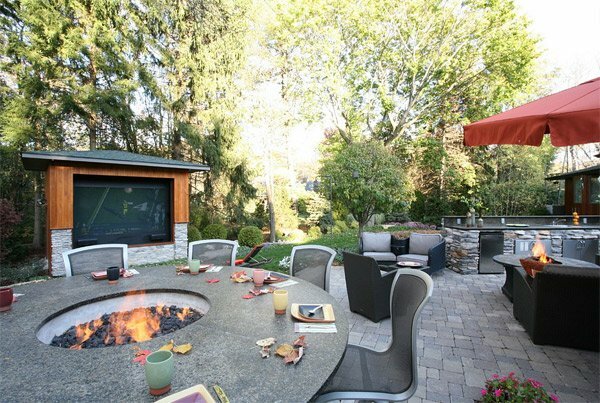 Enjoy your day in your own outdoors, you can invite friends or just gather your big family around a counter-height table fire pit. Surely those feet and hands of your guests would not get cold with a long rectangular fire pit occupying a corner of a banquette seating. You’ll never get cold in here, after a bath from the hot tub the fire pit will keep you warm. Isn’t it romantic? 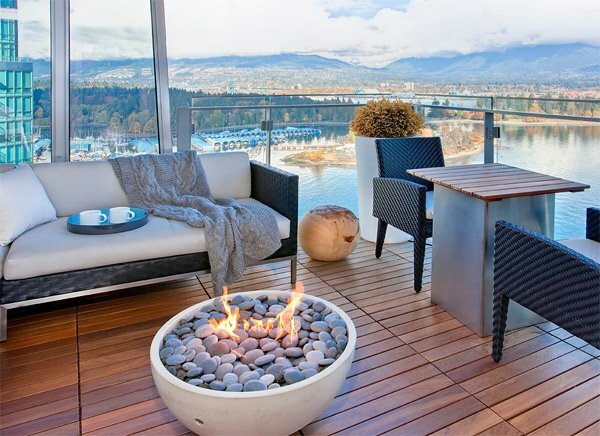 Over viewing wide scenery with fire accent; a perfect spot for couples who plan to have a dinner date. To be more cautious. Dig a pit for a fire, forming a nature ambiance and surrounded with gravel. 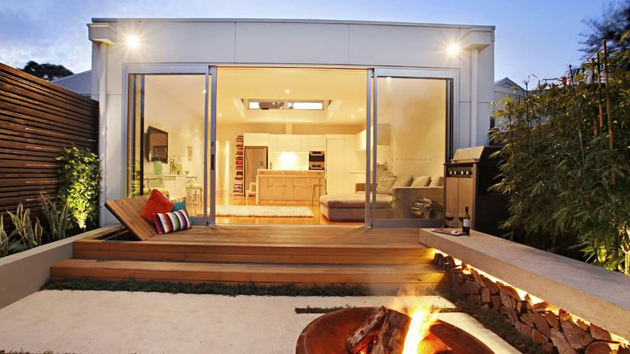 For small spaces of course you can still have fire pits, alternatively by using small bowls. 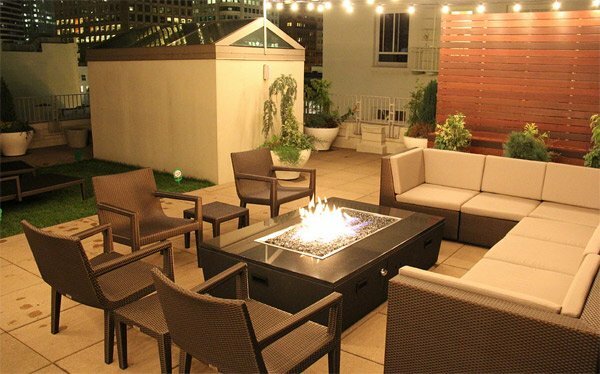 I think, courtyards will never be complete without fire pits installed in it, it gives a warm sense to houses. Make this as a focal point outside your space. Gather your friends and family around it to experience its warm glow. 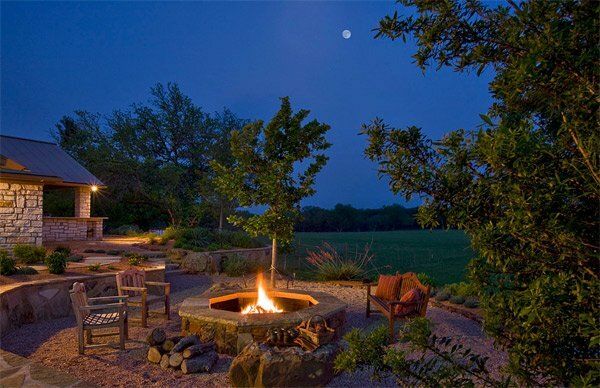 Surely your guests and friends would enjoy the feeling around the fire pit with a glass of wine with small talks while at the same time the kids are also enjoying the fun by roasting hotdogs and mallows on the fire. 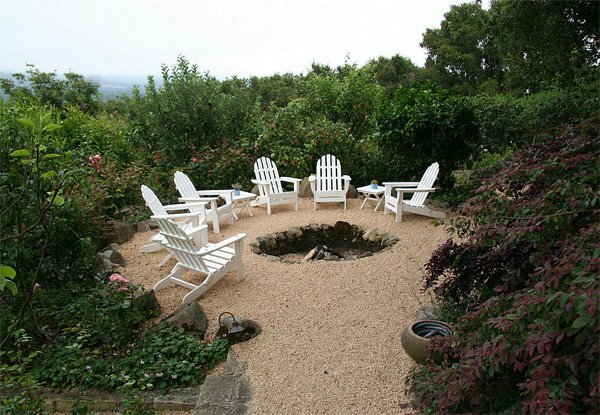 Can you just imagine how your areas can be turned into an inviting place with a fire pit? Well, why not apply this idea and you’ll see a wonderful transformation. The various styles of fire places were excellent. Thanks Jamshed Glad you like it :) What’s your favorite so far?